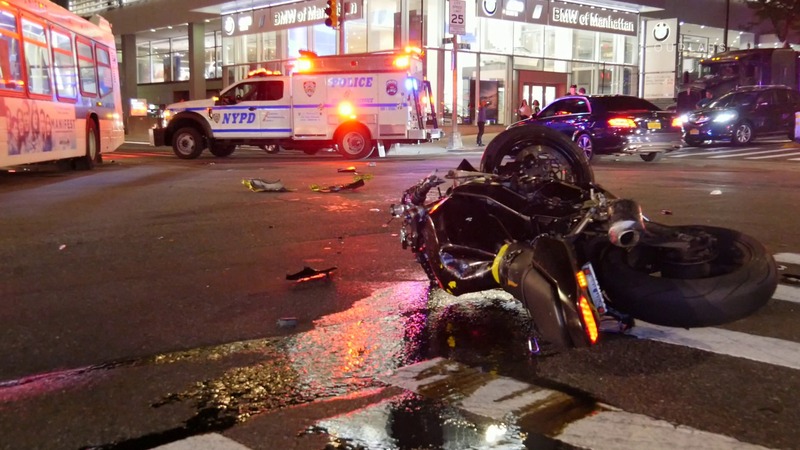 HELLS KITCHEN, Manhattan – At 11:50 pm Saturday a motorcyclist collided head-on with an oncoming car attempting to cross an intersection at 57th Street and 11th Avenue within the confines of the Midtown North Precinct. The motorcyclist was immediately sent to Mount Sinai West Hospital in critical condition, while the car driver was uninjured. A CIS investigation was opened to discover the nature of the crash.